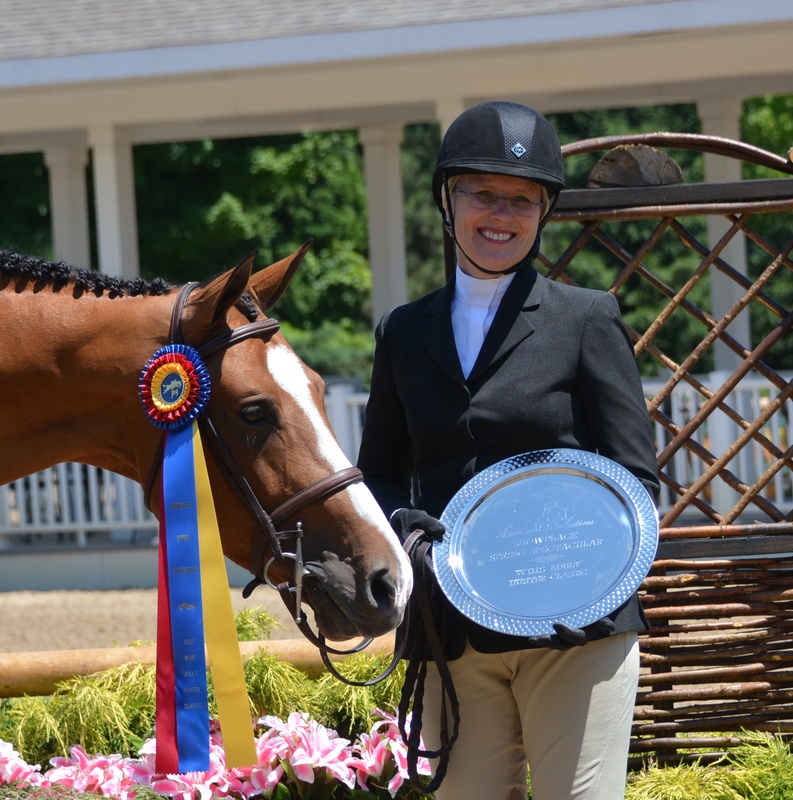 Debbie Kirsch and her new mount, Naples Bay, won the $500 WIHS Adult Hunter Classic. Photo Chicago Equestrian. 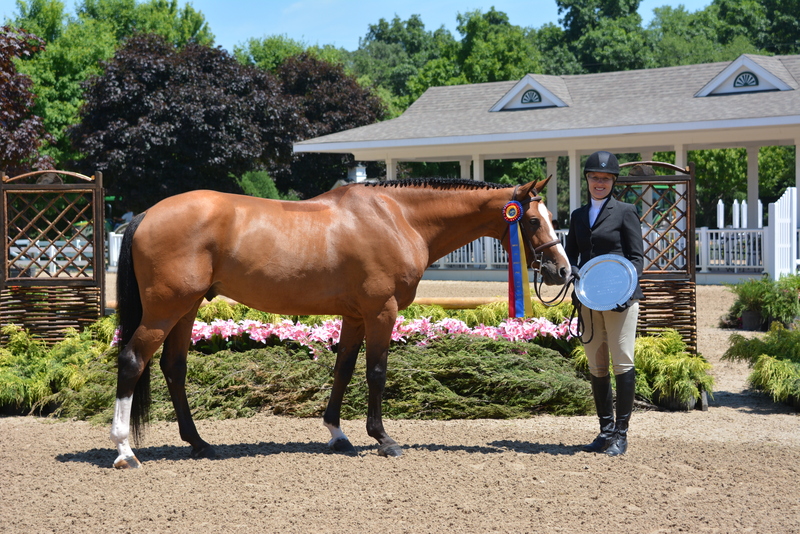 Wayne, IL – June 19, 2016 – Adult Hunter rider, Debbie Kirsch, knocked it out of the park with her new horse, Naples Bay, at the Showplace Productions’ Spring Spectacular II Horse Show, earning scores in the 80’s to clinch the win in both the NAL Adult Hunter Classic and the WIHS Adult Hunter Classic. Trainer Diane Carney’s program helps riders like Kirsch succeed. Back in April, Carney was teaching a clinic in Naples, Florida, at Wrenwood Farm when she spotted the horse for Kirsch. Carney gave Kirsch a call after she finished teaching and asked if she could immediately get on a plane to come see the horse. Carney keeps a tight schedule between teaching, customers, showing and judging, and would only be in Naples until the next day. So Kirsch scrambled to get a flight, tried the horse, vetted it and bought it in a matter of a few days. 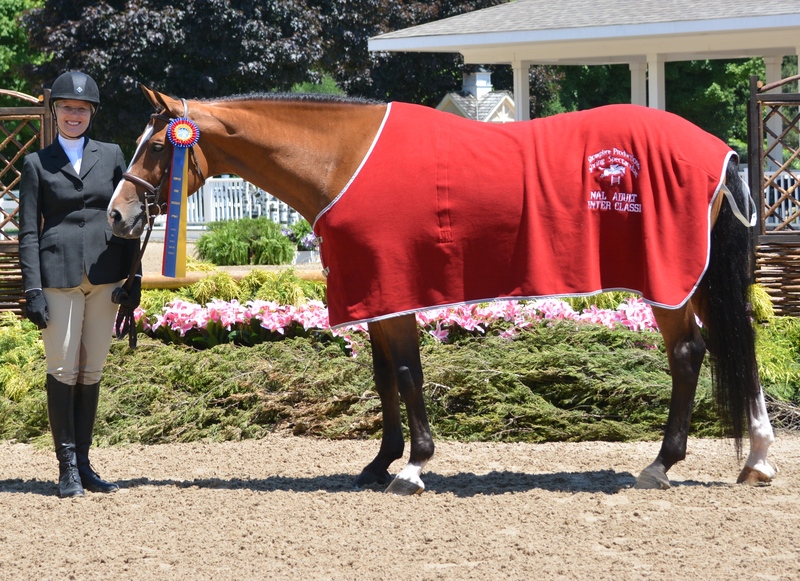 Debbie Kirsch and Naples Bay winning the $1,000 NAL Adult Hunter Classic sponsored by Integrity Farm. Photo Chicago Equestrian. Kirsch, Winnetka, Illinois, has an extra special connection to the horse and says the spirit of her late mother, Carol S. Monsees, sent him her way. Kirsh’s mother passed away in February and also lived in Naples, owned a boat named ‘The Sea Horse’ and frequented Naples Bay. Kirsch was about to throw in the towel on her horse hunting journey, was mourning the loss of her mother and was pouring herself into her work at Blue Ribbon Floor Plans when Carney’s call came. “And he is from Naples and is a bay!” laughed Kirsch. Carney agrees that consistency is key for any horse and rider. “Debbie has had some slow time to get to know him. 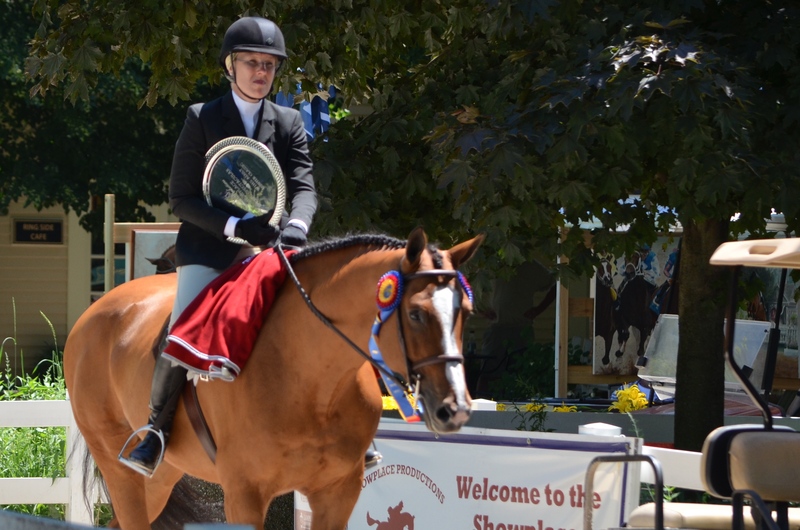 I think there’s a National Hunter Derby somewhere in their future,” added Carney. The pair will compete again in the adult hunter division during the third week of Showplace Productions’ Spring Spectacular. For more information on Diane Carney/Telluride Farm, visit the website at www.telluridefarm.com or call Diane at 847-922-6167.